History Pods, The Home Of Pod! The Launch Pod. The launch Pod is where you (my History Hounds) and I can set off on a Historical adventure. Fun Pods. 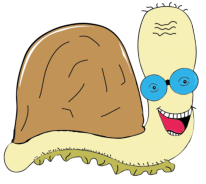 I love to get all your jokes and yes even snails like to laugh. I also have a great gallery for all those cool pictures you draw. Teachers Pod. Teachers zone is full of extra history resources and links to some great pages, that may just help you with your history planning. D.I.Y Pods. I can not record all the history myself, so I need your help. Find out how you can make your own History Pod and send it in to share. Pod recommends his website for 8+ All adventures come in full recordings or in two parts!